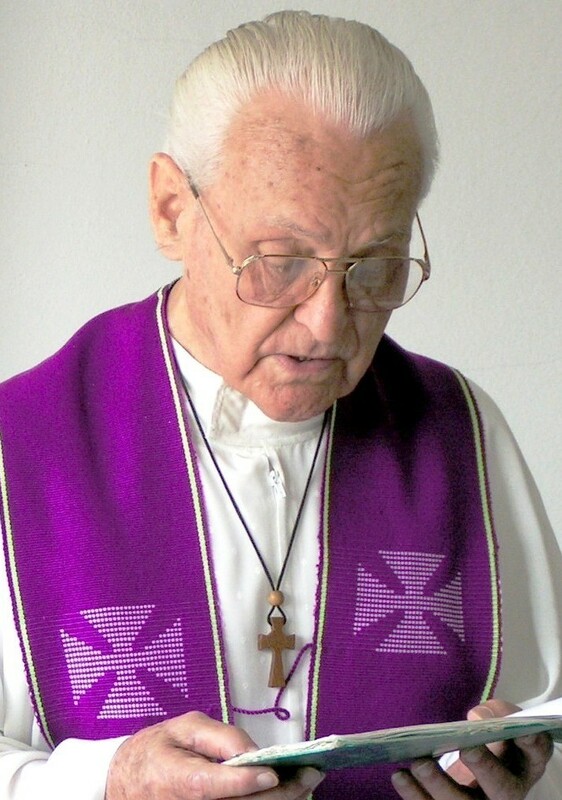 Born July 30, 1921, Reverend Yves Bertrais, OMI began living among the Hmong of the Gaurs Mountain at the age of 29. While his love would have been to share his faith with these people, he realized that he must first be content only to live amongst them, to study their language and absorb their culture. Studying the Hmong language would not be easy since it did not exist in written form. 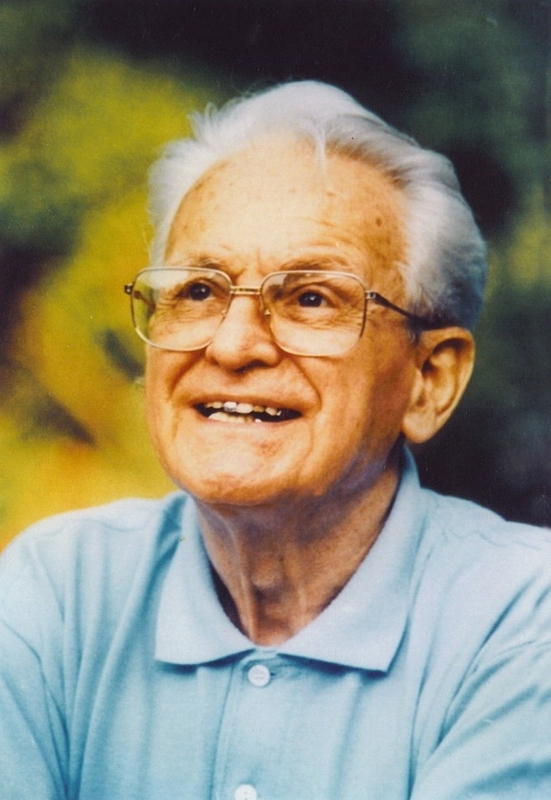 At first he created his own transcription system by assigning Latin letters to Hmong sounds as much as possible. This lasted for three years until he learned of an American Protestant minister who was working in another village and developing his own transcription of Hmong. With the aid of a linguistics specialist and two Hmong friends to help with exact pronunciation, the two collaborated in an effort to develop a uniform system, the “Hmong R.P.A. Script” (Romanized Popular Alphabet), which is currently used worldwide. The next task was to teach the written form to the Hmong. Each evening after work ended in the fields, the village youth, some adults and other Hmong from as far as 20 miles away would gather to learn the script. 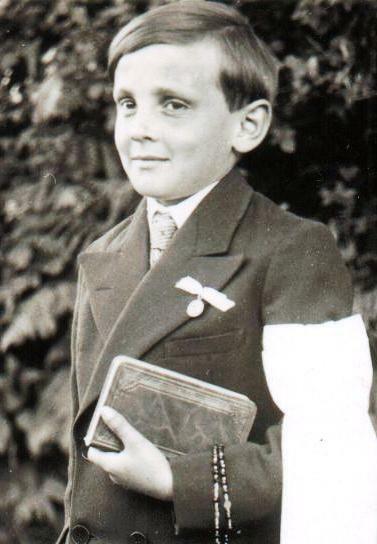 A small catechism was developed at that time. From 1963 to 1975 the Hmong people were seriously affected by war, at which time many came to stay with Fr. 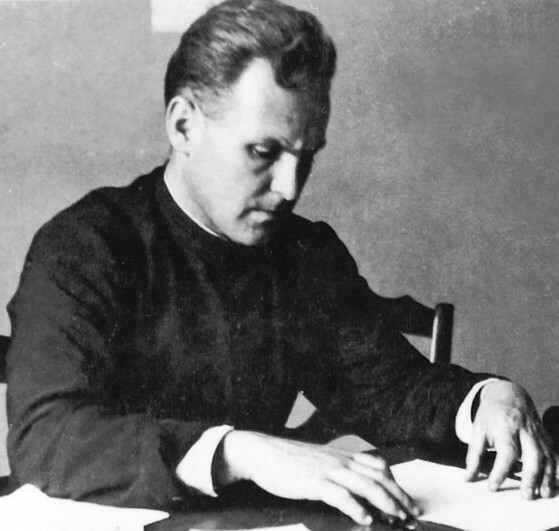 Bertrais at the School of Masters in Christian Teaching. During this period the R.P.A. script spread rapidly. During their vacations, students would return to their mountain villages and teach their friends how to read Hmong. A Hmong newspaper and radio station were also created, as well as many other publications in the Hmong script. The Laotian government did not cast a favorable eye on the R.P.A. script, instead requiring all ethnic groups to use Laotian characters even in the mountain schools where all the students were Hmong. Beginning in 1975, however, use of the R.P.A. script spread to tens of thousands in the refugee camps of Thailand. And as they were resettled in the United States, France, Australia, Argentina and Guyana — so, too, the R.P.A. script found new homes. With so many learning to read and write came the necessity of creating books to place in their hands. At that time Father Bertrais approached Archbishop Renato R. Martino, then apostolic nuncio to Thailand who, understanding this important need, assisted tremendously in procuring funds from specialized organizations. One of the many fruits of this task was the birth of the Hmong Cultural Heritage Association, with its headquarters in the Hmong village of Javouhey, French Guyana. Thus, the language and script were brought into the computer age. Since 1985, the R.P.A. script has spread among the Hmong in China. The R.P.A. script been successful for many reasons: its use of Latin letters which are in current use throughout the world; its easy adaptation to the dialects of both the White and Green Hmong; the perseverance of the teachers of the script 40 years ago; the tragic events over the past four decades which, at the time, seemed like fatal blows for the diffusion of the script but which, in fact, contributed to its ever-greater expansion; the many people who have generously worked to produce publications and to find funding for research, composition, printing and distribution; and especially the Hmong peoples themselves, who passed the script on to family and friends. 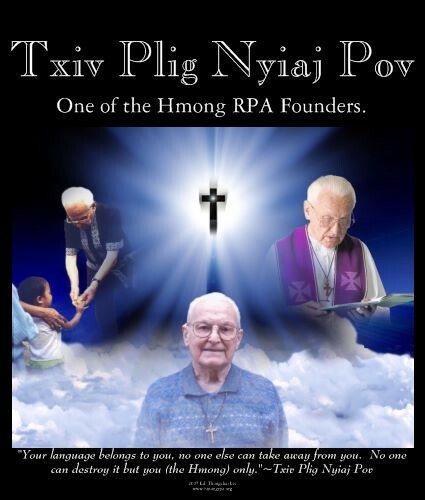 For his perseverance and commitment to the Hmong people, particularly his efforts in developing a written form of their language, the Path to Peace Foundation is pleased to bestow upon Reverend Yves Bertrais, OMI, the title of “Servitor Pacis” — Servant of Peace. Addendum: During the stay of Father Bertrais in French Guyana from 1977 to 1996, the mayors wanted to honor his work in favor of the Hmong of Guyana. They first awarded him the National Merit Medal, and then some years later, the medal (insignia) of the Knight of the Legion of Honor.